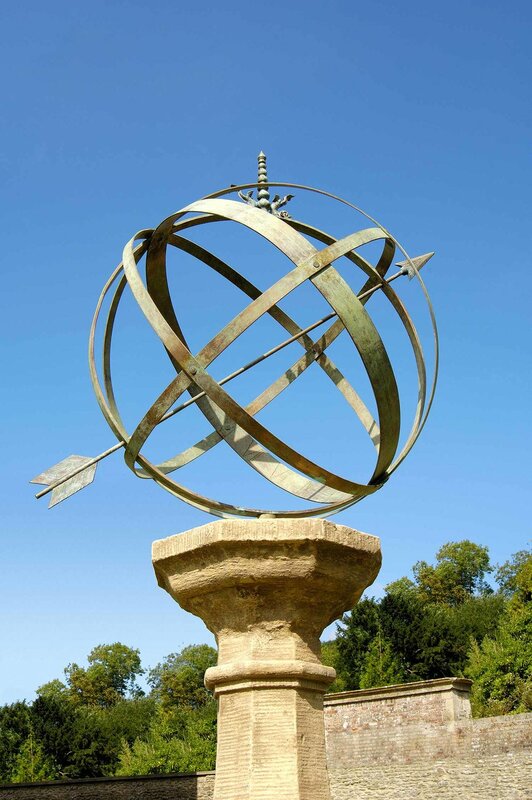 19th century octagonal reconstituted stone base with a copper armillary sphere which makes an impressive garden ornament (decorated with a pair of bronze Venetian dolphins). Base: 13cm (5") high, 107cm (3' 6") diameter. 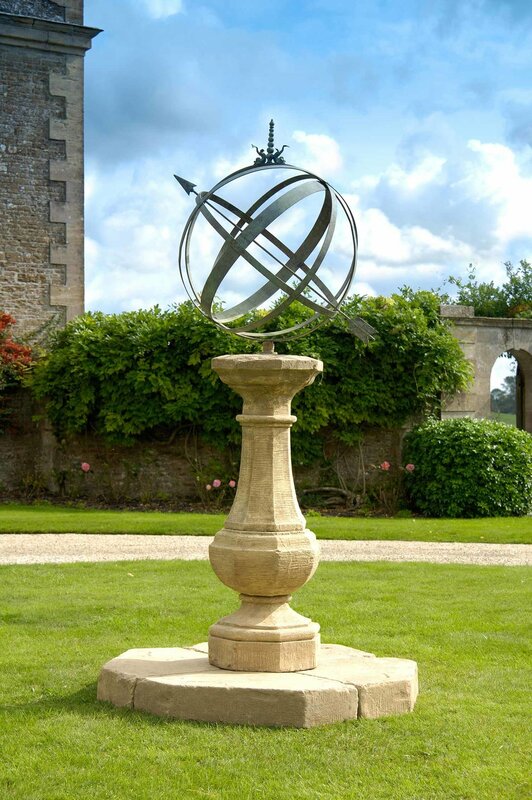 Stone base with Armillary Sphere: 170cm (5' 7") high.